This Banana Coffee Cake is a great way to use up any super-ripe bananas you might have lying around! 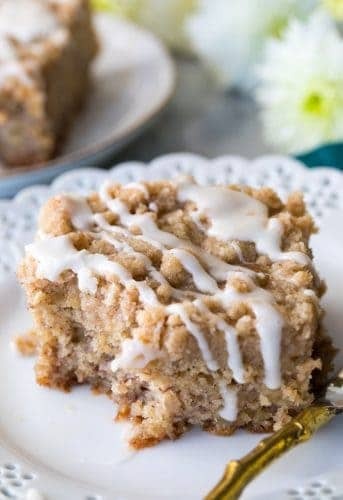 With a moist, fluffy, vanilla banana-flavored interior and a crisp buttery streusel topping drizzled with an optional glaze, this is a unique and delicious coffee cake recipe! Recently I’ve been doing a lot of baking with bananas after finding myself faced with a mile-high pile of well-browned bananas in my house. They were just past their prime and desperately needed to be baked into something or they would shortly need to be thrown out (and my freezer was and always is way too full to even consider storing them there). 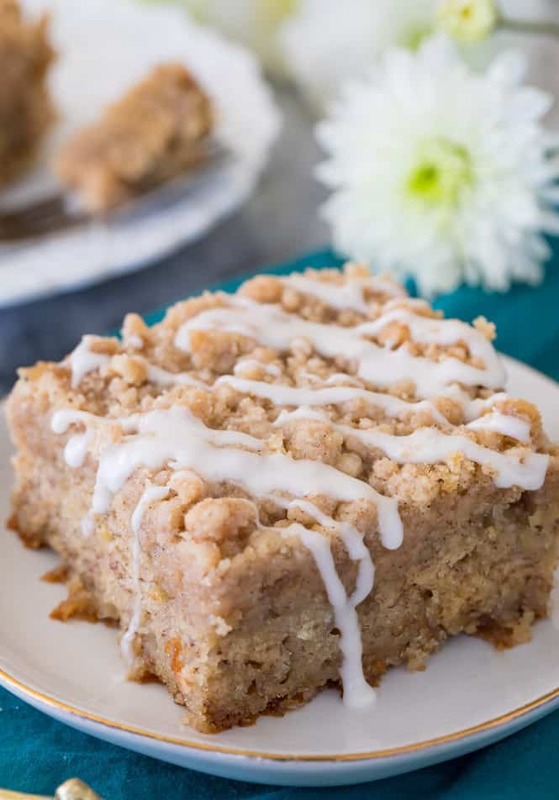 I made batch after batch of my favorite banana muffins and passed out more slices of cream cheese frosted banana cake than I can even count, but eventually I wanted to try something different and this recipe for Banana Coffee Cake was born! The #1 tip is to find the ripest bananas you can! The browner and spottier they are the better — this is going to give your Banana Coffee Cake the best flavor. Mash them up well (you can use a potato masher, or even just a fork) and add them to your butter, sugar, eggs, and other wet ingredients. 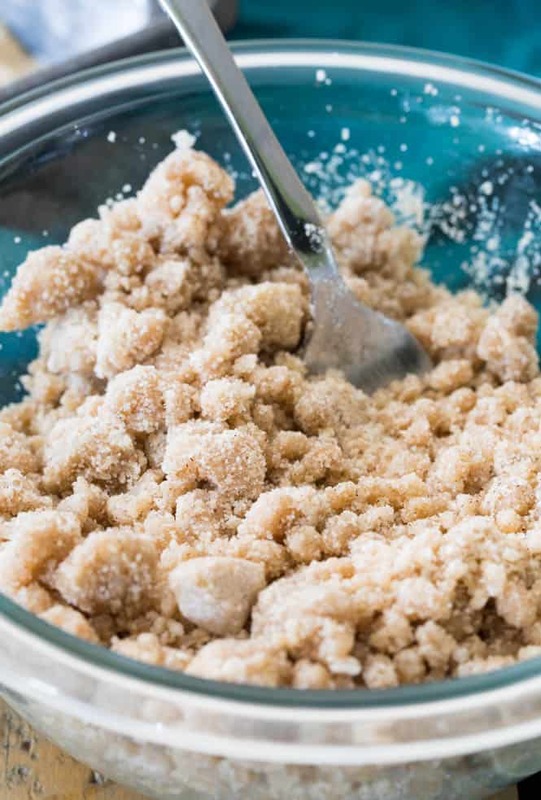 There are a number of different ways to make streusel topping, but my preferred method is to start with melted butter. Many recipes use cold butter, but for this particular streusel, the melted butter makes for a nice buttery crumb that pairs so well with the banana cake. Use a fork to stir your dry streusel ingredients in with the melted butter. Take care not to overwork the streusel mixture, or you’ll end up with a paste! You want the mixture to resemble coarse crumbs that you can use your hands to drop evenly over your banana coffee cake. 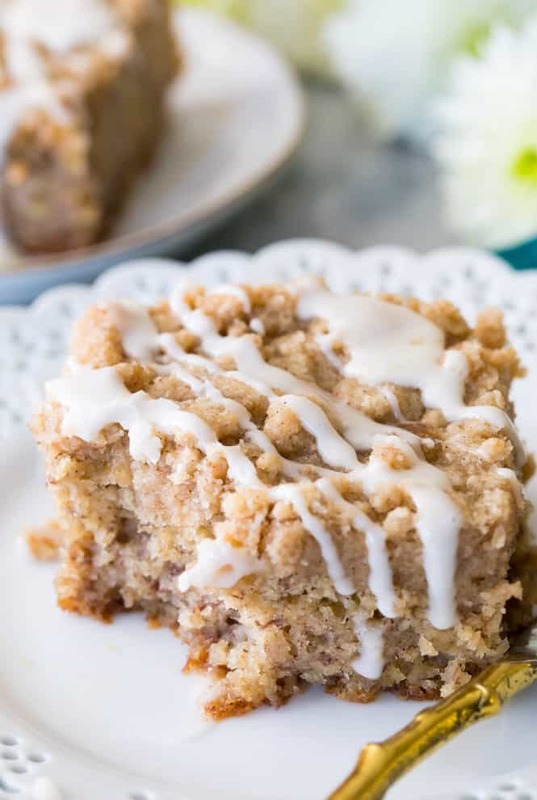 This Banana Coffee Cake would be a great make ahead breakfast or Mother’s Day brunch option, it’s simple, packed with flavor, and sure to be a hit with your guests. Preheat oven to 350F and lightly grease and flour a 9x9 baking pan. Set aside. Pour batter evenly into prepared 9x9 pan. Prepare Streusel. Melt butter in a medium-sized bowl on 10 second increments (stirring between) until just melted (you don't want it to be too hot).